Joseph Ashley Masters would probably have preferred a root canal without anesthesia to testifying at the New Britain Superior Court on the morning of January 29, 2007. Unfortunately for Masters, he had no choice in the matter. Howell’s longtime friend was served with an interstate subpoena ordering him to appear and testify in court two weeks earlier. He tried to fight the process in a court in Hampton, Virginia, but without success. He was provided with a plane ticket, paid for by the state of Connecticut, and transported to Howell’s trial. It’s usually not a good thing for a witness’s credibility to give a lot of “I do not recalls” in response to the opposition’s questions. After state’s attorney Brian Preleski got through with Masters, it almost seemed like the witness was suffering from a mild case of amnesia. Preleski: And how long had Mr. Howell been staying with you prior to Thanksgiving in 2003? Masters: That I can’t recall. Preleski: And did Mr. Howell have Thanksgiving dinner with you that year? Masters: No, because I believe we went to my parents’ house, my wife’s parents’ house and he stayed at my house. No, I can’t- I can’t recall. Preleski: And what kind of vehicle was Mr. Howell driving back then? Masters: That I don’t recall either. Preleski stepped forward and offered photos of the interior and exterior of Howell’s blue van. His recollection refreshed, Masters stated that it was the vehicle that Howell drove on the week of Thanksgiving of 2003, and the same van that they cleaned out on the driveway. On entering the van, Masters testified that it contained “regular odors” including the smell of grass, oil, gas, and some body odor. He went on to testify that he did not recall there being any seat cushions on the bluish-grey bench in the van, matching or non-matching. Further, he didn’t see Howell remove any cushions or dispose of them in any manner. The answer was in direct contradiction to a portion of the written statement given by Masters to police on May 13, 2005, with initials showing his voluntary approval of the information in the margins of the document. We emptied out the van together. I remember the van had a light blue rug. I saw the bench seat in the back of the van. I saw the bottom bench cushion and the back bench cushion were present. I saw both red and dark red stains on both the bottom and the back cushions that were very noticeable. Devin said that the cushions were stained, but didn’t give any further explanation. Margin, JAM. While giving this statement, Inspector Hankard showed me a picture of one of the cushions inside the van. I recognize it as being (a) photograph of the same cushion with red and dark red stains. I signed, dated and timed this photograph as the picture of Devin’s van I saw during Thanksgiving 2003. Margin, JAM. While inside the van I smelled a very strong odor. It wasn’t gas, oil, or grass. It smelled like body odor. Initials, JAM. Right around this time I watched Devin take the bottom bench cushion off, roll it up, and put it in a plastic bag. Devin put the plastic bag at the curb for pick up, which occurred sometime later. Margin, JAM. 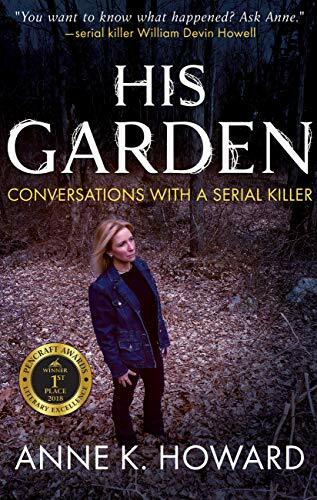 From an evidentiary perspective, the five-page document, initialed by Masters in nineteen locations and signed five times, was Howell’s death knell. When Masters took the stand less than two years after writing the statement and testified differently, it made him look like, well… a liar. More precisely, he looked like a loyal friend and a liar. On cross-examination, defense attorney Ken Simon tried to show police coercion. According to Simon, the written statement was not reliable because there was a show of force used by the police. First, a large group of them unexpectedly showed up at Masters’ home and questioned him for two hours. This was followed by a lengthy interrogation at the police station that lasted upwards of four hours. Masters was “very nervous” and just wanted to give the police what they wanted so he could go home. Judge Sheldon wasn’t buying it. 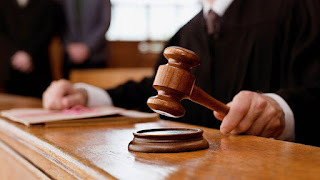 He overruled Simon’s objection to the admission of the written statement, finding that Masters was not in police custody when the statement was made, and he was in fact free to leave. Moreover, his nervous state was a given. It did not indicate that he had been threatened in any way. It was hardly a threat when the police told Masters that the failure to cooperate could lead to a charge of aiding and abetting a fugitive. They were simply doing their job. Finally, ten or so officers may have initially approached Masters home in May 2004, some in uniform, but when he was questioned at the station, it was only by two detectives. Disclaimer: In 2007, William Devin Howell was sentenced to 15-years imprisonment for the murder of Nilsa Arizmendi, absent the discovery of the victim's body. Arizmendi's remains were subsequently located with the assistance of FBI cadaver dogs behind a strip mall in New Britain, Connecticut, in April 2015. 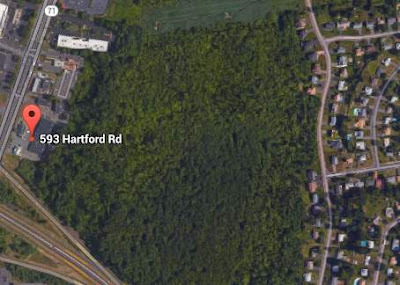 The forest behind the strip mall located at 593 Hartford Rd. The remains of three more victims were found alongside Arizmendi's remains at that time. Eight years earlier, in August 2007, three other victims were discovered in the forest behind that same strip mall. All total, the remains of seven individuals have been found behind the strip mall. Howell has been charged with the murders of the remaining six victims. On Monday, May 9, 2016, Howell pled not guilty to the murders. A trial will probably not take place for at least 1-2 years. The information contained in the foregoing post was derived from the 2007 trial transcript. The author remains in close written correspondence with Howell.